Kenyan Telecommunications giant Safaricom is eyeing the electricity market following the enactment of a law that opened up power retail market to individuals and private companies. Earlier this month, Kenya has overhauled the regulatory framework of the energy and petroleum sectors with the enactment of two laws that put emphasis on increasing electricity connectivity. With the new legislation, the Energy Regulatory Commission will license new companies to sell power and take away Kenya Power’s control over the dispatch center, which determines what energy sources will feed the national grid. Safaricom executives said the signing into law of the Energy Bill 2017 by President Uhuru Kenyatta on Tuesday, which provides for rollout of net-metering, was a boon especially for large private companies. Under net-metering, households and companies connected to the national power grid and at the same time having their own rooftop solar panels will be allowed to inject their excess generated power into the grid. “Net-metering is going to be very important especially for large organizations in Africa. 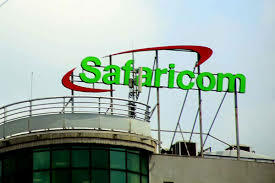 If you take the example of a big mobile company like Safaricom, we have a footprint that covers every corner of Kenya through base stations,” Safaricom chief corporate affairs officer Stephen Chege said. The company, the most profitable in East and Central Africa, owns and operates 4,945 base stations (cell phone towers) in Kenya, majority of which are connected to the national grid and hybridized by solar power and standby diesel generators. Currently, the firm is in the pay-as-you-go (pay per use) solar kits market through its Nairobi-based partner M-Kopa.